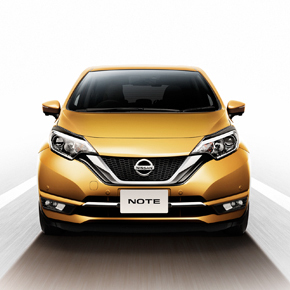 The NOTE accentuates its forward-looking style with bold character lines on the doors asserts the dynamical strength and vibrant character of the NOTE. 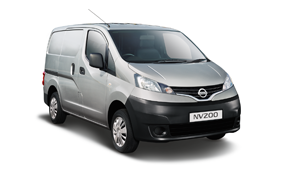 Instantly recognisable with its trademark Nissan V-Motion grille adds a sporty feel to its exterior. 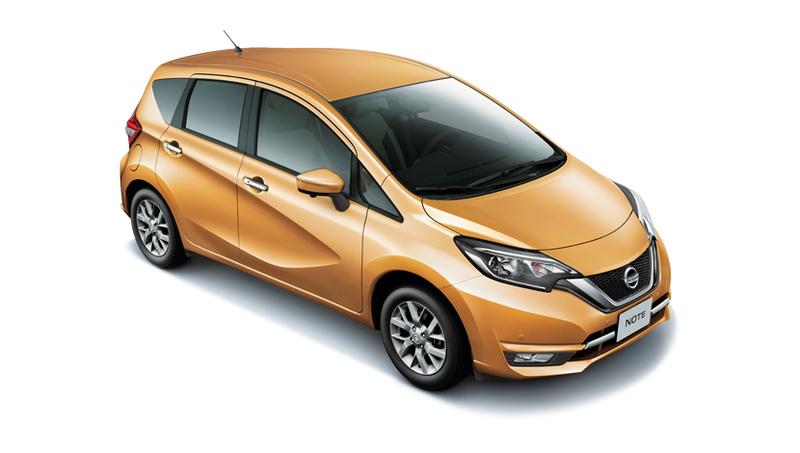 Integrated with its distinctive front grille are large swept-back headlights design that suggests the 'power of eyes'. 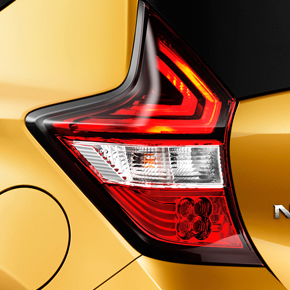 Futuristic and innovative, the distinctive boomerang-shaped rear lamps project a style that puts the NOTE way ahead of others in its class. 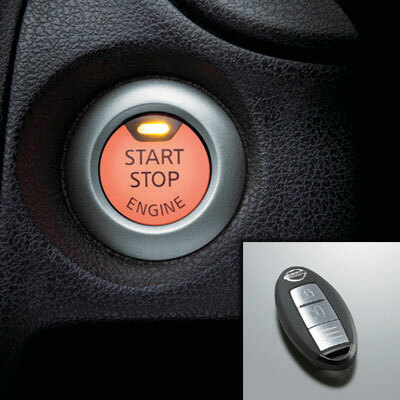 You can lock, unlock doors and even start your engine with the key in your pocket or bag with the NOTE's i-Key. 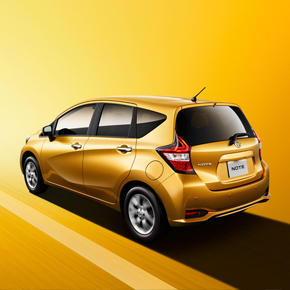 Start your engine on the go with a push-start ignition. 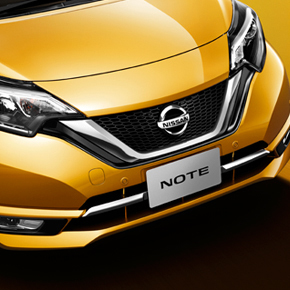 With Nissan's smart packaging, the NOTE gives you the space you need. 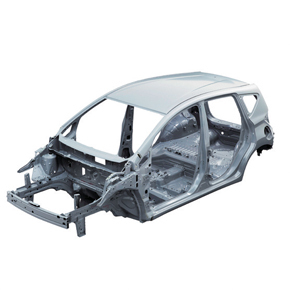 It has an interior length of up to an impressive 2,065mm. 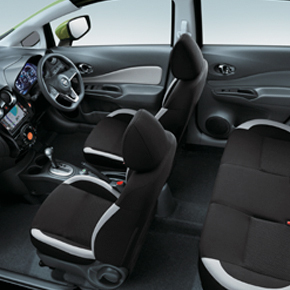 The curvature of the back sides of the front seats have been meticulously crafted for the comfort of the rear passengers, giving them ample space and unobstructed forward views. 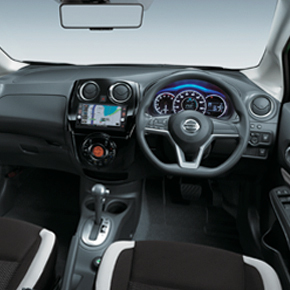 The Zen-like simple and elegant dashboard provides an open feeling to the driver and the front passenger. The futuristic centre console of glossy black and brushed chrome houses the environment and audio control displays - available in NOTE 1.2 DIG-S only. 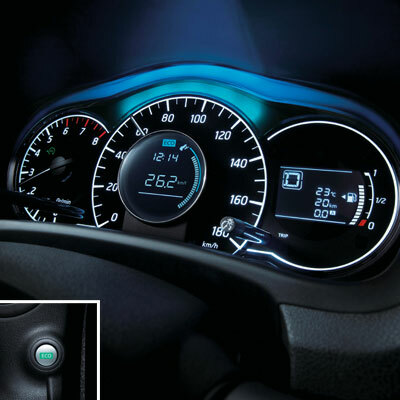 Complementing the high-end centre console is the Fine Vision Combimeter with white illumination that provides easy-to-read graphics - available in NOTE 1.2 DIG-S only. 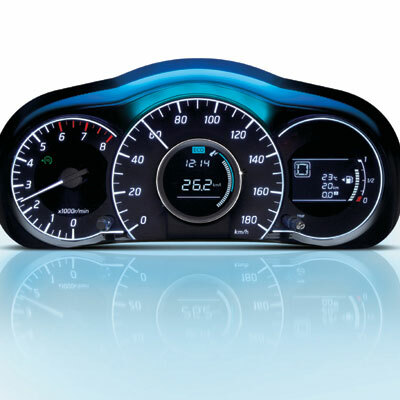 The Nissan Eco-Meter* with the blue outline which frames the upper side of the Fine Vision Combimeter and Eco-Drive Indicator* supports the joy of eco-driving. *Available in NOTE 1.2L DIG-S only. 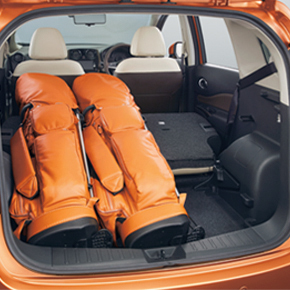 While ensuring impressive rear knee room, a large-capacity luggage space is also realized. 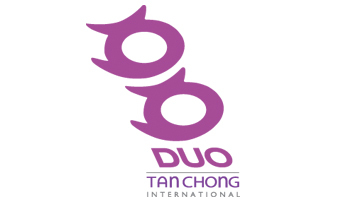 Load up to 3 golf bags with no problems. 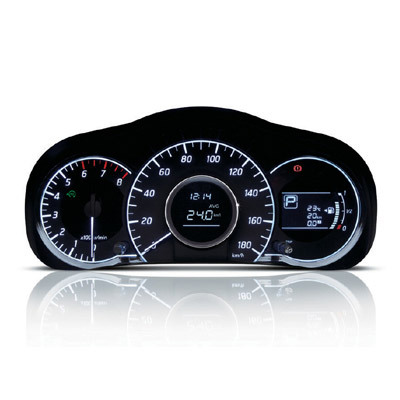 Supercharged performance with class-topping fuel economy. The newly-developed 1.2L DIG-S supercharged engine delivers agile and exhilarating driving performance equivalent to a 1.5L engine. 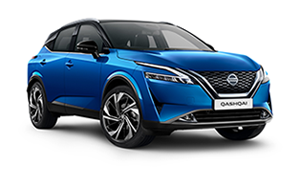 Together with state-of-the-art technology such as the Idling Stop System (ISS), Advanced XTRONIC CVT, ECO-mode and a lightweight aerodynamic design, a best-in-class 21.7km/L is achieved. The naturally-aspirated NOTE uses the lightweight, compact HR12DE engine with strong torque at middle and lower speeds. 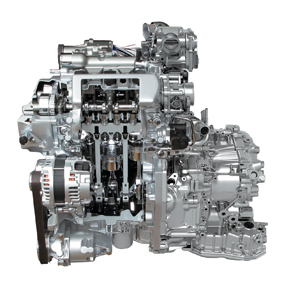 Utilizing the responsiveness of a supercharger, the newly-developed HR12DDR engine delivers agile and exhilarating driving equivalent to that of a 1.5L engine, and great fuel economy. The highly efficient supercharger combined with an electric clutch efficiently controls the on/off operation depending on engine speed. For example, the supercharger operation may stop for low-speed city driving, resulting in both greater fuel efficiency and exhilarating acceleration performance on demand. 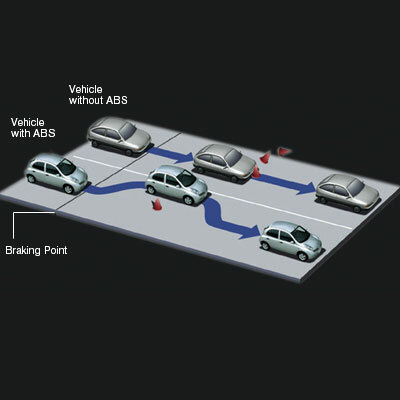 A simple function to prevent unnecessary fuel consumption, exhaust emissions and noise. 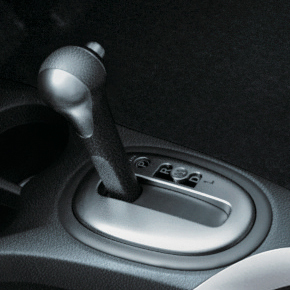 When the NOTE decelerates to a halt and idles, the ISS will shut off the engine until the driver releases the break or turns the steering wheel. The engine will take only 0.4s from the moment the brake is released to resume operation. 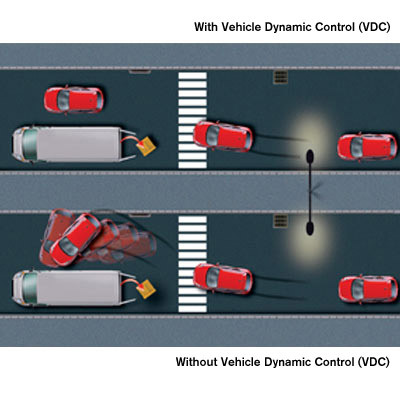 New generation Xtronic CVT has enhanced pedal response. A broader transmission ratio allows the engine to run at lower rpm at high speeds, reducing fuel consumption and the Accelerate Control function makes accelerating even smoother. 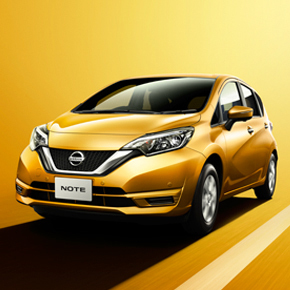 ECO-mode, which helps improve real-world fuel economy, is available in the 1.2L DIG-S NOTE. When ECO-mode switch is on, the engine and CVT are controlled in a coordinated way to provide natural feeling yet fuel-efficient driving. 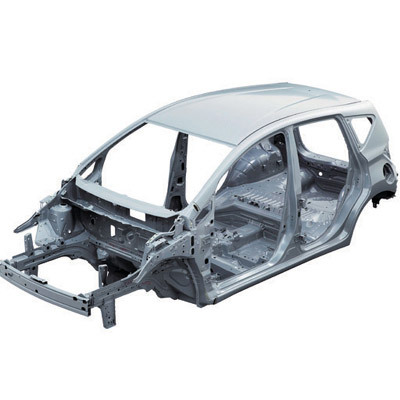 From the engine, transmission to the exhaust system, all components of the NOTE are designed to keep weight to a minimum, resulting in extraordinary fuel economy. 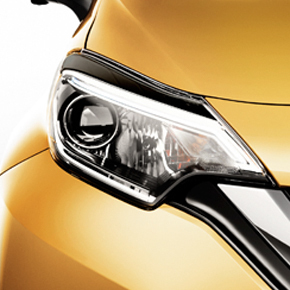 Halogen headlamps with multi-reflectors ensures optimum light distribution. 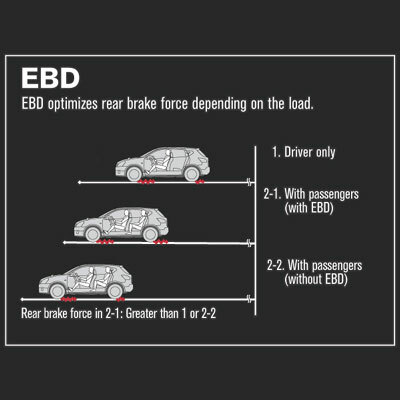 While the weight of more passengers and cargo inevitably increase braking distance, The NOTE's EBD (Electronic Brake-force Distribution) system serves to reduce the braking distance by sensing the load carried and redistributing the braking force in the front and rear for more effective braking. 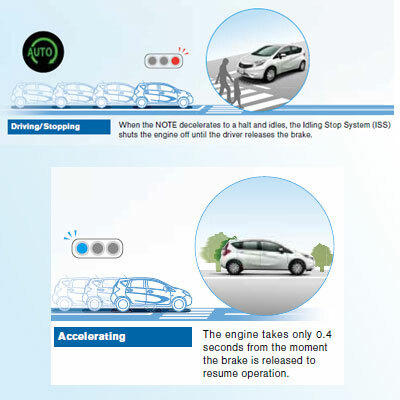 VDC automatically controls brake and engine output to enhance stability when sensors detect that the vehicle may slip sideways, due to steering, braking or accelerator pedal operation. 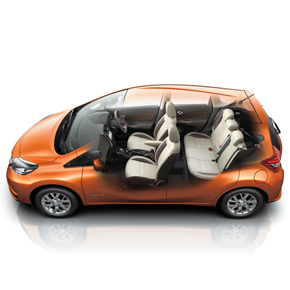 Nissan's zone body construction provides a high strength cabin safety zone dedicated to passenger protection. 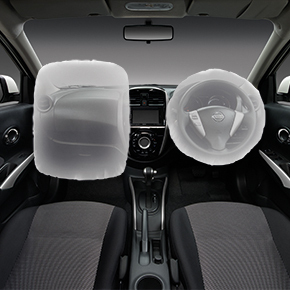 Both driver and front seat passenger are protected by supplementary restraint system (SRS) airbags. These work in combination with seatbelts to reduce the force of head-on impact.